I love this recipe because it is easy to prepare & throw in the freezer when you find pork chops on sale. Definitely one of my favorite freezer meal recipes! Don’t leave out the shallots—they are great mild flavored onion. This is good in the oven or the crock pot. One of the favorites around here! Orange Pork Chops--Serves 4-6 depending on how many chops you cook! 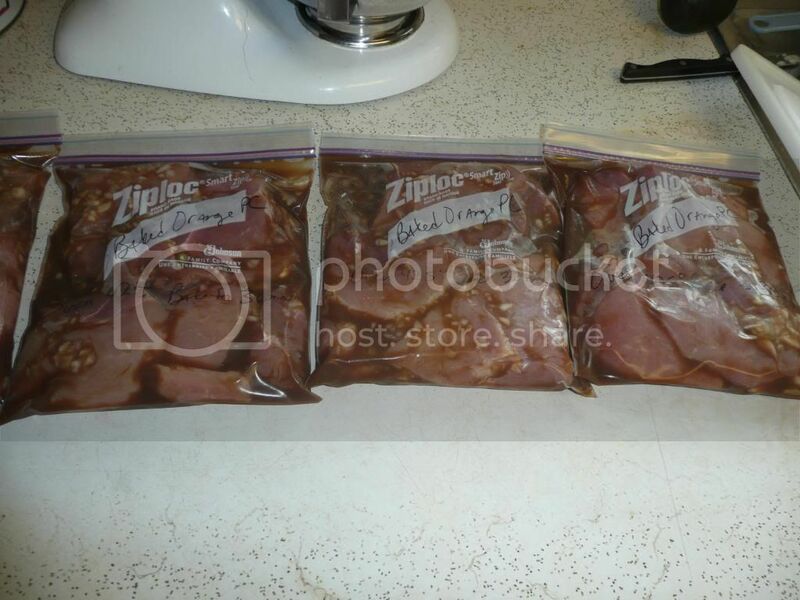 Place desired amount of pork chops in a quart size freezer bag. Add all other ingredients & seal. Freeze. Thaw. Place entire continents of bag in a medium baking dish. Bake at 425 degrees for 30 minutes. Thaw. Place entire continents of bag in a 4 quart crockpot. Turn on low & cook for 4-5 hours.